Uses Large lighting and power applications, Industrial plant, festivals, remote locations. 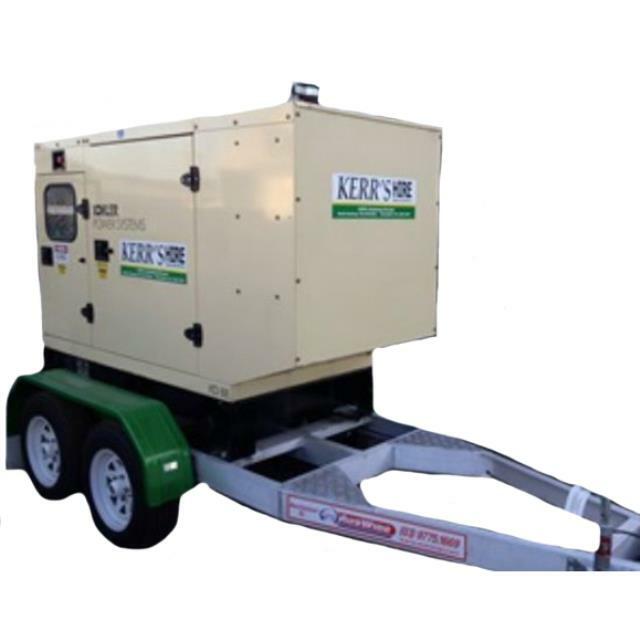 Ideal for power shortage areas or where extra power is needed. Features 130 Amp output at 415v. Fuel consumption approx. 19.5lt/hr at full load. 180lt tank. Run time approx 9 hours at full load. Quiet operation. Earth leakage protected. Usually requires a distribution board for multiple outlets. Min. 2000kg rated towbar.